Gender inequality is a major concern around the world. Swaziland is no exception. In 2010, PCVs decided to team up with Swazi counterparts to form girl’s empowerment clubs. The initiative was called GLOW, which stands for Girls Leading Our World. The new clubs were modeled after other GLOW clubs started by PCVs and host country counterparts in various Peace Corps countries. This past weekend, I was privileged to attend a gala celebrating GLOW counselors from around Swaziland. GLOW counselors are typically Swazi women who are passionate about girl’s and women’s empowerment, gender equality, and related issues. They lead groups of girls through a curriculum covering lessons on sexual reproductive health, gender based violence, and financial literacy among other things. The gala honored all of the GLOW counselors in appreciation of the work that they have done. Some women told stories of how they came to be associated with GLOW, and their passion for the initiative. It was a truly remarkable experience. 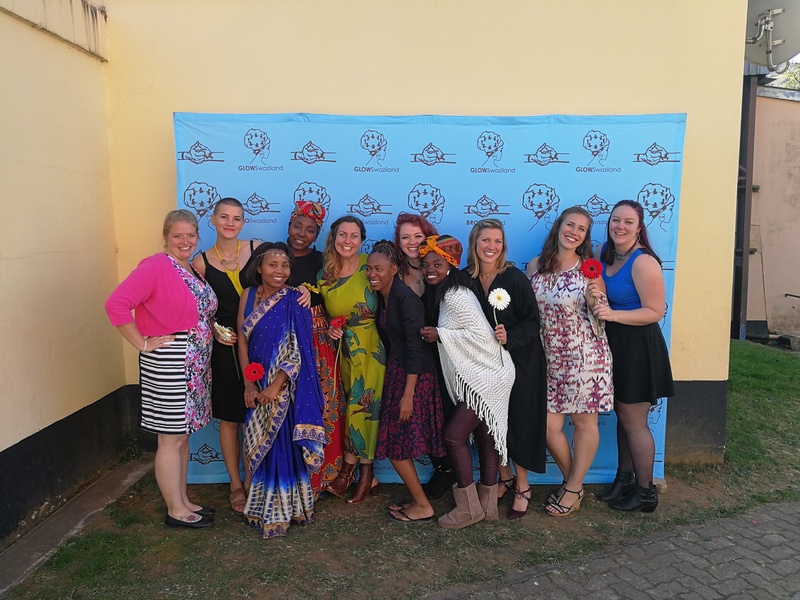 The amazing women pictured above are the leadership of GLOW in Swaziland. They include senior counselors and GLOW directors.